I’d like to announce the first release of my English patch of Pokémon Type: Wild, available for download today! Pokémon Type Wild is a free 2D fighting game that uses a popular Japanese fighting game engine (not the Mugen engine). While the game is a ton of fun to play, some have difficulties in navigating the Japanese menus. Mac users can right-click the client and choose to run the LilithPort.exe in WineSkin to join online multiplayer. The files below are zipped with 7zip to save file space. To unzip .7z files you can download 7zip for Windows or Keka for Mac. If you like this game, please check out my current game: Aeon Rivals! Like my work? Drop a comment below or visit the forums and tell me what you think! You can also consider buying me a coffee, which is very much appreciated. LilithPort and MTSP detect an FM2K game by looking at its file description, which means that it won’t detect the Type Wild executable. In the archive is an older EXE runtime that can be detected by LilithPort and is from the original FM2K instead of FMXV. 1. Rename your original Type Wild EXE to whatever you want. 2. Rename TYPE WILD-multiplayer-compatible.exe to TYPE WILD_ver_053t.exe. 3. Try running it. If it opened and closed in a split second, you did something wrong. 4. Set LilithPort/MTSP to the Type Wild executable. There aren’t really any 24/7 servers out there specifically for Type Wild, sorry. Check out our official unofficial Type Wild Steam group! Oh man, it may not be much translated but the necessary, but it’s still GREAT to have this! I really love that somebody has the ability to do something like this and DOES it. I would LOVE it if you were to work for a full translation…particularly of the character dialogues and ending cutscene. Omg! I’ve been looking for something like this for a while! So glad that somebody can translate this! It may not be much but thanks so much! The file is a .7z (7-zip) archive, so you’ll need to use an extraction program that support .7z files. I would suggest using 7-zip. after unzipping the file how do you open it as an application? I downloaded the whole thing and when I open the game it only opens for a split second then closes by itself. What should I do? I may work on a Mac compatible version soon. Stay tuned. What version of Windows are you running? You could try to run in compatibility mode via right-click and see if that helps it work. Is there another way to download this for the Mac w/o having to download The Unarchiver? I don’t have an Apple Account and I’d like to avoid having to get one. I like Keka for mac. It’s the best archiver I’ve ever used! So this does not play on mac? I’m confused…. I also tried to run it and it only opens up for a split second and closes as well. I use Windows Vista and I also can’t play the game because it closes instantly whenever I open it. Is it possible that the antivirus software on this computer is somehow interfering? Have you tried running the game in compatibility mode? If that doesn’t help, try looking around Google for other cases where people can’t start Pokemon Type Wild. You may be missing a needed driver. You do not need to open the .exe file with WinRar or 7zip; all you need to do is double-click the file and windows will natively open the program. When I open the .exe it opens then immediately closes. I’ll try to get a Mac version of Type Wild working within the next week. I’ll keep you guys updated. It’s great that you translated this, although to the people complaining have you tried downloading the japanese version it might help you understand if this guy can fix it or not? Anyrate I would like it if you translated the characters speach because it bothers me when I defeat 5 things and I con’t know what my character says each time. No need to rush though this is type wild, not story time. How long does it take to download?! It depends on your Internet connection speed. Okay, so I’m kinda using an older PC, and I’m running XP. PT: W downloaded without a problem, but when I try to actually OPEN it, it opens a new Tab, closes that Tab, then downloads it again. Am I doing something wrong? If so, what, and how can I fix it? When your browser opens a new tab and closes it just means you’re trying to download the file again. You have to find the downloaded .7z file on your computer and extract it. You can use one of the mentioned extraction tools to open the archive and then just double-click to run the exe file. How do I put up a server? SWEET! I love this! Can you translate the rest? THIS IS TAKING FOREVEERR I just want to play so badly im up to 150 megabites how long till it downloads? Are you still working on the Mac port? And by the way thanks for taking time to do that, most people don’t make a port. A Mac version is now available. Check the post for the download link. When i go to click the actual game if crashes instantly. I’m not sure if I’m doing something wrong but some help would be appreciated. Can you put up a mirror for the mac version? The current one doesn’t seem to work. Doesn’t work for me anyway. It says I need a password for the Mac version? Anyone know what this means? Check the post for the password. It’s right under the “Download” section. What happens when you try to open the app? Does it just crash? Any symptoms? I’m really glad you enjoy it. If you’d like to share this with your friends I’d be very grateful. Have fun! Do you know why my Pokemon Type:Wild doesn’t seem to open some times? (Macbook Pro w/ Retina Display) I have to click quite a lot of times to get it to open. On most occasions I even need to restart my laptop. Any ideas why? That’s a bit hard to diagnose. Sometimes the app can take a while to start the first time, so I would suggest trying to open it once and then waiting for several minutes to see if anything happens. Which version of OSX are you running? You can find out by clicking the apple symbol at the top left and then selecting “About This Mac”. I’m trying to get the 1st mirror version for Windows,but it says I need a password. Plus,there’s no post for it. Thanks for the suggestion; that’s something I should have caught before uploading. If this solves anyone’s problem I’ll take time to reupload the Mac version with edited filenames. How do I open it after it is unzipped? If it’s the Windows version, double click the .exe file. If it’s Mac, double click the .app file. Click one of the “Mirror” links to download, either Windows or Mac. Why isn’t it a zip file for me? 7zip is a vastly superior file compression format and zip is mostly a crutch these days. Kick it like a nasty habit! Did you click the “Mirror 1” or “Mirror 2” link? You only need to download one of them. I clicked mirror 1 and used the password but When I download it, it appears as a disk on a piece of paper. Download after download and still NO success. the game will not load. Oh, sorry, I thought it wasn’t processing my comments. Does the game open at all when you try to run it? What happens when you click the executable. While this isn’t a full translation patch, I do hope that the winquotes will be/already is translated. How large is the file? I’ve seen someone say over 150 MB already, and I’d just like to say that I’ve had 200MB .zip files download much faster than the 125MB I’ve got so far… plus, ‘saving file space’ is kinda annoying when I have to download another- ANOTHER- program which I’ve never heard of just to extract the .zip of a game I wanted to download because I was bored. Which version of Mac are you using? Go to the Type Wild.app, right-click and then choose “Show Package Contents”. Double-click “Wineskin.app” and then click the “Advanced” button. Click the “Tools” tab, and then under the Utilities column click “View Last Run Log Files”. Copy and paste the contents of the “LastRunWine.log” to a site like pastie.org and then send me the link. Whenever i try to download mirror 1 for mac it never stops downloading and im using firefox. safari is a complete failure what do i do use chrome? Are you sure the download just hasn’t finished? The file is pretty large, at around 200 mb I think. I’ll work on uploading a new mirror. Thanks for the heads up! Working on uploading a new version, thanks for your patience! A new link is available, please try it. like more Pokemon or shiny Pokemon. Can someone tell me how to download this patch? I can’t find the correct download button for the game. I’m using a Mac which is on OS X Maverick and the game doesn’t run. The window just pops out with a blank background then automatically closes. What’s the solution for this? Have you guys redownloaded the game? how do i delete the Ao thingy i’m using winrar and it won’t let me. I think I might be one of the people who is also experiencing the problem with Mac. I’ve tried using Keka and unzipping the Mac file, and it says there’s a fatal error with it. Explanation, please? Does Keka say that there is a fatal error with the file when you try to extract it? Usually those errors are thrown when there’s a bad download. Make sure the Pokémon 7z file is around 194.5 megabytes. @Prizza – The download was quite large, I can download it again and check. I’m on a Mac, and my specs are 10.9 with more than enough memory to support it. Not sure if it’s on my end or yours, but I’ll try again and see what happens. If I remember correctly, it was around that number of 100+ megabytes. UPDATE: Looking at the file right now, it says 185.5 megabytes. I’m not sure if that’s close enough within your range, but if not, possibly try putting it back up again? When I tried unzipping it the first time around, it said “Error code 2 using “p7zip” – Fatal error.” You’re probably more educated than I am in computer terms, so I assume this means something bad. UPDATE #2: Just redownloaded it, got the same error again, not sure what the issue is exactly, considering I’m doing what you’ve told me to do from the original post and all. Maybe make a tutorial video on how to do it for those technologically impaired or something? I’ve been wanting to play this game very badly, and I would very much appreciate it if you could help out those in need of working it. The error code is very general but it may not being able to extract due to folder permissions or disk space. You could try changing the folder you’re extracting the file in and making sure your account is an administrator or also freeing up some space on your computer or drive that you’re extracting to. I am almost positive I have enough memory, and I doubt folder permissions are an issue in any way. I can try changing the folder or making sure I’m on an admin account, but I doubt that is the issue. Anyways, here’s to hoping it works! To be honest, I really do want to play this game and enjoy what other users are experiencing, but the error leads me to nothing when I do a search on Google about it. Not only that, but the file seems to not be corrupt in any way at all, and I doubt that Keka is corrupt either. Would there be any other solution you can think of? Maybe putting the direct game up on for download rather than a 7zip, or maybe convert the 7zip into a .zip file instead? I’m not that good with technology, but these are just some ideas I’m thinking of off of the top of my head. If you’re just having trouble with Keka I would suggest to try unzipping with different software, such as The Unarchiver (http://wakaba.c3.cx/s/apps/unarchiver.html). Let me know if that program works for you. I assume this error is because of the file size, and I’ve already tried redownloading the file, which gave me the size of 185.5 megabytes, rather than your previously claimed file to be 194.5 megabytes. I can try redownloading it one more time, but maybe you could re-upload it and check the file size? This worked for me guys and hopefully for you too. is there someway i can fix this? I downloaded it for mac but i can’t play it, when open it, I see a white window for two seconds :( And thats all… like the other ones who can’t play it on mac. Excuse me, I don’t see the link for your english patch, can you help me with that? Very thoughtful to include a Mac version. Thanks! once I have it opened in 7zip, how do I actually play it? 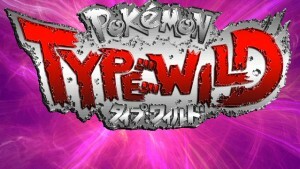 type wild works for me. is it possible to have netplay on mac also? I’m developing a PC/Mac game for release on June 15th, so after it’s out I may have a little more time to set-up a netplay port. Check back soon. This game has absolutely no viruses. I’m glad you like Pokémon, by the way! I grew up with Pokémon Blue. I notice that nothing has really come of this potential translation project and this is something I have wanted for a long time but have never had the opportunity to learn enough written Japanese to translate. So I was wondering something. If you don’t have the time/interest to actually make a translated program for this game, do you think you could simply perhaps make a text translation in Notepad or a page on here or something? I have been extremely curious as to what the characters are saying, both in their victory/intro dialogues and in the cutscenes of the game. I think it would be very awesome if you could do this…I feel like I’m missing a lot of the flavor of the game without it. In any case, I have tried making translations through kanji and phrase translation programs, but nothing ever works well enough. I love what you’ve already done and I really hope you consider making some kind of translation here, even if it’s not completely translating the program itself. the mac version does not work. up until the pokemon select screen is fine, but then it crashes. Which version of OSX are you using? This will help me diagnose the problem. The file on Mega will not fully load. The progression bar freezes at 99%. Please diagnose my issue. When I load the game, it just crashes. Then it started working, but then it said D_title.demo error? What does this mean? And it starts to crash again right when I open it. Hey I’m really looking forward to this game but I don’t know how to run it on Windows 8. Any help? I’m not too sure how to use a 7z file opener/extractor and I would appreciate some help. Thanks! I have problems opening the game in Windows XP Professional SP3 despite being able to open it and play it before. But now it just doesn’t work. Any help? What’s the password for mirror 1? Whenever I open it, it immediately crashes. Yes, I have tried everything that other users have suggested, but nothing has worked. I am using Windows 7. PLEASE FIX THIS! Can it work or is it compatible for tablet. My tablet is the new Samsung tab s.
Also which do I download to play the game exercise which type. may i suggest a torrent download link? Is this game compatible for windows 8.1? Is this compatible with windows 8? When I try to open the game nothing happens. i downloaded this game on my mac. used kika to unzip it. now i have the program but whenever i open it, i get a small white window that opens and instantly closes. then the pictogram disappears. any idea of what i could do? I start the app, and it close in just one sec, im running it on Mavericks. when i try to launch the game a black popup appears for a half second and disappears. how do i get the game to work? How can you run the online multiplayer using a mac? Does anyone know how big the file is? Thanks for the log! It may have something to do with your specific computer’s cpu/gpu. I’ll update a few of the engines within the game and reupload it to see if it helps at all. What is the password to unlock the mediafire download? Okay, so I downloaded the game, and I FREAKING LOVE IT!! Just uuhhh… how do I get it to translate to English? Im using Mac, btw. If you could help me out, I would SERIOUSLY appreciate it! Thanks! But seriously! I love this game. Well, I saw the picture about it saying we might be getting Charizard soon. It might not happen… With the new release of Super Smash Bros. 4 they have Charizard too. If Nintendo finds this with Lizardon (Nintendo is Japanese) on that could come over with some copyright issues. Yes it’s the old anime’s drawer, but he’s not anymore. But even so, that’s a theory. A Copyright Theory. I can’t get ahold of PRIZZA directly (I’ve contacted him multiple times now, maybe because I accidentally signed the e-mail), but I’m almost done with the full translation. I’ve been working at this project on and off for months now. All I have to do now is finish up the last few lines, have a bit of a peer review, and replace the strings/images via 2D Fighter Maker (still haven’t figured out how to replace). If anyone wants to have a look at them, just comment and I’ll post the file. PS: There’s also a bug in this game. Either I’m blind, or the level titles aren’t actually being shown between levels in single player mode. Sorry I’ve been hard to get ahold of! I sent you an email with how to contact me. Talk to you soon! @longbyte1, thank you for helping some of the users with their problems. I appreciate that! @SkeletonKeys well, what does it say? For MediaFire, enter the password as stated in the post (oneweakness.com). As for FileDropper, I think that mirror is dead; I can replace that mirror if requested. This summer, I’ll finish translating the remaining lines (ending lines, instructions, and I guess I forgot about practice mode). I’m sure that I’ll finish translating and patching by the end of the summer! All I need to know, though, is what font is the best to substitute the Japanese with. What font did you use for the majority of the substitutions? Uh oh, looks like the spammers have found us! Both mirrors should be working and are 0.53. I hope someone could possibly contact one of the developers and write an article as to why the game hasn’t been updated. My guess would be from copyright issues, but since the download for the game is still here, maybe there’s another reason. The controls are hard to use for me. Since I’m using a key board QAQ I wish there was a practice mode for me to get a hang of it. the mac link is gone? Help please. There is a practice mode but I forgot the button combo to activate it. It’s also not translated. @longbyte where/what 2k2nd ripper did you use I would like to find that works too. Great work on the translations also!! There’s one lurking around on the Web, in some forum. I can upload it if you can’t find it though. Go to single player, select a character, and when it asks you for the difficulty, press PAUSE/ESC. Or go to the options. Btw Longbyte1 thank you for translating this game! I was wondering how to setup my arcade stick to play this game? I got to setup the buttons, but the joystick directions are grayed out? How do you grab? I can’t figure it out.. Please help haha. But I did get my arcade stick working with the game. Special+punch. You need to be touching the opponent in order for it to work though. Snorlax also has a command grab but I don’t remember how to do it. @longbyte1 Thanks! But I’m surprised it’s not light punch + light kick to grab like in Street Fighter? Is the command grab not listed in the move list picture? It should be listed in the move list. I will make a resources pack including everything that I didn’t put in the zip file but was in the original, as well as a few videos on how to play and of course a montage. Cool stuff! I have one more question if you don’t mind, my versus mode seems to be super laggy. but arcade mode isn’t at all. I don’t think you need high specs to run this game smoothly, do you know what might be the reason? The most common cause would be that you have one joystick plugged in, but not a second one, or you have no joysticks plugged in while the Joystick box is checked. If you are using one joystick, it would be recommended to just plug in another, or use JoyToKey (FM2nd’s joystick support has always been terrible). how does the type wild multiplayer compatible work? does it involve lilith. any tutorial on lilith? There’s a tutorial on my Steam group, should make a video on it though.. Sorry, I haven’t made the video yet. I’ll do it today. Quite frankly the process is/was overcomplicated, there shouldn’t be a self extracting EXE inside a 7zip archive. Anyway, fire up the 7Zip File Manager, go into the archive, and click the minus symbol (Extract) or drag the contents out of the window and into a folder of your choice. Can you elaborate on that? i’m still having issues…. Is there a step by step process on how to do this that i just don’t know about? your help would be greatly appreciated! Right-click the game file, choose “7-zip” from the dropdown menu, and then click “Extract Here”. 7-zip will then extract the game files into the same folder, and you can find the .exe and then double click it to play. I’m using XP, I tried compatability mode, all options, and I keep getting the black screen for half a second, please fix, help, or direct me to instructions please. Did you extract all of the files before double-clicking the game? Also, are you trying to launch the multiplayer-compatible Type Wild without having renamed it first? The first mirror doesnt seem to work anymore :/ Has this been abandoned? Hmm, that’s weird. I’m sure PRIZZA will have a look at it soon enough. MEGA link is dead file dropper download seems to be jacked (corrupt archive) oh well I guess I’ll have to wait TWO WHOLE DAYS (sarcasm) for pokken. The file from the filedropper link extracts properly for me, so please try extracting again with different software. I’ve updated the first link as well so you can try that again if you’d like. Thanks for the update. The first link has been updated. I’m on Windows 10, so that might be the problem, but Type Wild crashes whenever I select difficulty. It was fine once, and then it’s crashed ever sense. I’ve reinstalled three times now, no fix. The game pops up and closes on Windows 10. I suspect it’s something with the IME? Do I need to change my computer’s regional settings to play? I’m on a mac and i downloaded the link for mirror 1 and tried to unpack it with files that open 7z files, but it keeps saying it can’t be opened! I’ve tried the 2nd one too but that one won’t even download fully for me! Can anyone plz help me!?!?!?!??! Which software have you tried to use when extracting the game from the 7z file? Did you use Keka or a different software? I have yet to test the game on Windows 10, but it may have something to do with the IME. If you find any solutions please let us know. PRIZZA i have tried downloading and using keka to open it but whenever i try using keka it says something like “keka can’t be opened” and i tried redownloading keka but the same thing keeps popping up. so i tried using another program called the unarchiver that in the settings it said it opens 7z files, but that won’t work and then i tried a program specifically meant for 7z files and that didn’t work. I tried lots of other ones but none worked. I’ve uploaded a new version for “Mirror 1”, and I tested Keka with it as well. Let me know how it works for you. Whenever I download mirror 1 for windows the download takes like an hour and it always fails. :/ Can anyone help? MEGA isn’t perfect, it has to download and decrypt blocks of the download on the fly. Are you using Internet Exploder? Woops, Mirror 1’s not MEGA, that’s some generic filehosting website. They tend to give you slow download times and then cut you off if it’s taking too long :/ I’d probably have it uploaded to a solid CDN. I was forced to use a different upload site because MEGA removed my Windows version. On top of that, I’ve found they keep changing their UI and making more and more confusing for the average user to download a file. Suggestions are welcome. Wait, why did MEGA and MediaFire remove the download? Is the bandwidth usage too high or something? I’m not sure. It may have been flagged or had a different issue. I’ve experienced this problem before, even with my personal files. Ugh… Fine, we’re making a torrent. I’ll get a magnet link started. Will you help me seed it until it gets enough peers? what can i do to help then ? Can you download the files without using IDM? I’m not familiar with the software or how it operates. is it just an issue with how it’s programed? It looks like a false positive to me. There might be encryption within the file that’s causing some AV to flag the file. RIP Akismet… If anyone wants to help me seed a Type Wild torrent, that would be great. @titiraymen: depende de onde você vive (Google Translate) / Depends on where you live. Looks like it’s time to start approving comments manually. I think you’re right. If it passes the spam queue, I might have to manually moderate it. Anytime I try to run the game, it keeps opening then closing instantly. I believe it has something to do with my PC because my computer didn’t come downloaded with Java or Adobe nor anything so maybe i’m missing something? I have Java and Adobe now, but even with them I get the same result. I played this game on my old laptop and I really enjoyed it. I would really like to enjoy it once again with the nearly full English patch. You don’t need Flash or Java to play this game. Are you using Windows 10? There are some reports that the game won’t load on Windows 10. Anyway, make sure the Type Wild .kgt file and the .exe file are in the same folder and have the exact same name. I am running windows 10 and the .kgt and .exe files are both the same. I even tried running it compatibility windows 7 mode just to be sure and that didn’t work either. I turned my anti virus off but still no luck. Any insight as to what the problem could be? The version I downloaded does not have the Lopunny :( Where and how low the full version ? While it is great that someone has made a very comprehensive translation of Pokemon Type Wild, I, like many other people trying to download this game, are experiencing long download times. Is there any chance of a dropbox download link, because they seem to be pretty fast from my experience. Great job on the translation! I started to play Pokemon Type wild fine and it was okay until i pressed it again. It gave the opening till it stops and gives an error Game Open Open Error[D_title.demo]. Can anyone help. Which operating system are you using? Also, do you see the “Åö” symbols anywhere in any of the file names? Someone had mentioned before removing those letters helped them with booting the game. When I ran the game on Windows 10, it came up as an incompatible program. I tried running it in administrator mode and on windows 7 compatibility mode and that failed to do anything. it just keeps popping up for a second, crashes, and force closes. Anyone know of a fix or workaround to this? What system architecture are you running Windows on (ARM, 32-bit, 64-bit, etc), and are you running it from the desktop? I am using 64 bit. I unpacked everything into a folder which is in another folder on my desktop. When I open it just says the application is unable to start correctly, any ideas? Any ways to solve or fix this? Thank you for waiting. I am going to get a Windows 10 virtual machine to investigate why the game is not working. My suspicion rests on the fact that the game engine is over 10 years old, but it might be something different. It’d be very nice if you add more Pokémon. I love it, it’s the best Pokémon battle I’ve ever played!. Please upload the mirrors to different sites. The current ones are terrible. The first one got cut off and there’s a 2 hour delay, and the second one didn’t download the whole file. Maybe on GDrive or Mega? Unfortunately, I didn’t make this game; it was, I believe, a former artist for the Pokémon show who made this game. I certainly do not have any of the talents or time necessary to put something like this together. anyone having luck trying to figure out the issue? been wanting to play the game again for so long, but everytime I try to open the application, it just instantly closes. I don’t even get an error message. r1579: Try installing the DirectPlay feature in “Turn Windows Features on or off”. If I am to believe windows 10. it’s already checkmarked so it’s turned on. Does the .exe file you are running have a .kgt file of the same name? yes. it has the exact same name as the .exe file. Strange. The only idea that comes up for me is that some asset file is corrupted or it can’t load the kgt file for some reason – those are the main reasons why it would close suddenly without error. I was thinking windows 10 could be the issue cause I used to play it on my laptop on windows 7 and it ran beautifully. I tried compatibility mode and that did nothing and trying to run it in other bit modes didn’t help either. could an antivirus or another program prevent it from running altogether? Obviously it has something to do with a change made in Windows 10 that breaks “legacy” applications. I just don’t know what it is, because I don’t use Windows 10, nor do I have a Windows 10 VM. I’d put my money on some old DLL that was removed eons ago, but for some reason has made its way back into three-quarters of the Windows 10 machines but not the rest. Anyone find a way to make TYPE WILD work on windows 10? There must be some way to do it. I would hate to give up on it. There is little information on the subject and videos of it working stop in late 2015. It also seems like no one has even touched up on it not working other than this site. Any info would be appreciated. Thank you. Which issue are you running into when trying to run on Windows 10? Does it just not run at all? I’ll try and see if I can get something working soon. Nevermind, I found the issue and resolved it. Anyone dealing with error message 0xc0000022 and/or opening and immediate closing of application go to your PC Control Panel and look for “Turn Windows features on and off” under “Programs and Features.” Find the box labeled “Legacy Components” and check the box. Click the plus by “Legacy Components” and make sure “DirectPlay” is checked as well. Probably something everyone knew already but hope it at least helps someone. Thank you for your time anyways. I cant download the mac version on mega or mediafire, it says URL or link not found? Can you reupload it? Thanks for letting me know. Links have been updated. Also can you use Dropbox, MEGA or Mediafire for the download links.